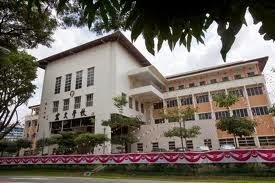 Hong Wen School is located at 30, Tower Road in Singapore 327829. It is enclosed within the Balestier Region. Balestier road is part of the urban planning areas of Kallang and Novena at the Central Section of Singapore. It is known for its rows of shophouses, commercial buildings and low-rise apartments. Nearest MRT is Boon Keng MRT and the closest bus interchange is Tao Payoh Bus Interchange. Amenities in the area include Shaw Plaza, City Square Mall and Serangoon Plaza. Some of the schools close by are Bendemeer Secondary School, Farrer Park Primary School and Saint Joseph’s Institution Junior.